The starting-point of the spiritual Path is to acknowledge your actual state of being. It will not be far from the truth claiming, that most people are alienated from their deeper Selves ("Heaven"), while simultaneously being isolated from their bodies and nature ("earth"). The deeper you allow this your existential suffering to enter your soul, the more intense your longing for Wholeness. * You will understand, that in order to be your Self, you have to drop your attachments. It corresponds with the Mothers' "destructive" aspect (1). * This is the first positive aspect of suffering. The most decisive moment is that, in which you discover to be the observer of your own thoughts. Experiencing to be "here", while your thoughts are "there" - in front of you - is what we call awakening. It is the divine Spark within, that which always has been denied by the Father Church. Mother Worship guides you in establishing this new inner quality, that which you really Are, your true Self though. It corresponds with the Mothers' aspect of (re)birth (2). 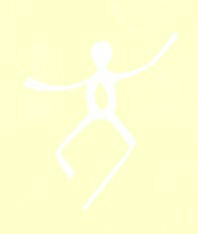 After having made the leap from ignorance towards awareness, the third step is that of working on personal integration. It includes the re-integration of all parts of the small self that were once rejected, denied, excluded or suppressed. The fourth step is that of fitting in. You are not an island in the ocean of life. Everything and everybody is interrelated, nothing excluded. Hence, in order to become fully human, you have to become part of the Whole again. You do this by restoring the unity with Heaven and earth. It corresponds with the Mothers' aspect of interconnectedness (3). Once the vertical and the horizontal dimensions of life are restored, the Center - the Heart - is born. You may now deepen your experience by intensive meditation practices. Through it, your awareness will expand, until the Moment you transcend both body and mind. The Mother may then be embracing you with Her Light-Body, the Divine. Meanwhile, attention is paid to regular purification of attachment to motives, emotions, desires, ambitions, intentions, ideals and goals. Having experienced the Unlimited, gratitude will be filling your Heart. You will acknowledge the grace of the Mother in Her aspect of giving birth to the New. Having discovered the secret of total regeneration, taking refuge in the Mother will become your permanent Home. By submitting yourself to Her - celebrating Her Law of the universe - your life will become more and more balanced.